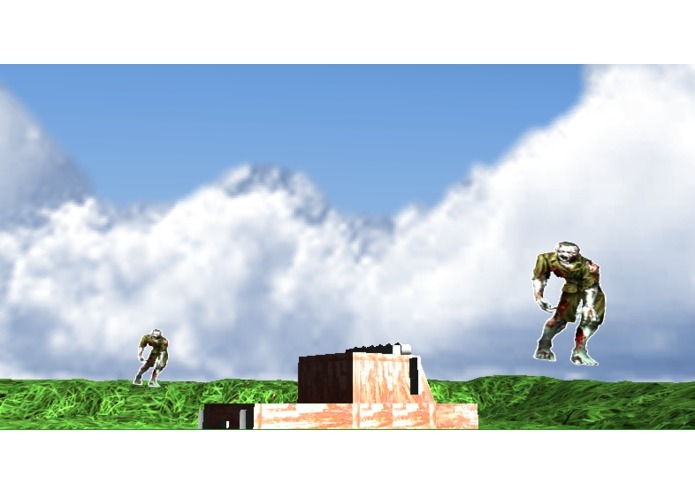 A game to test the creators' ability to develop a game from scratch. We had an idea to create a food truck app similar to that type of Uber. 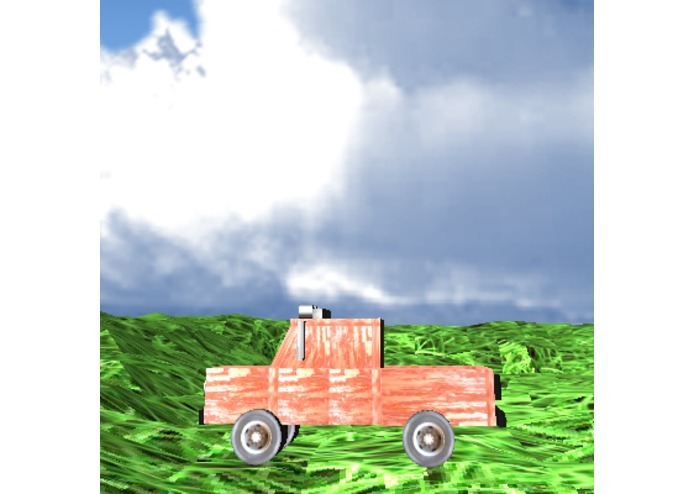 We couldn't come up with an idea that we all felt was legitimately possible so we decided to make a game that involves a truck. Drives a truck around uneven terrain. 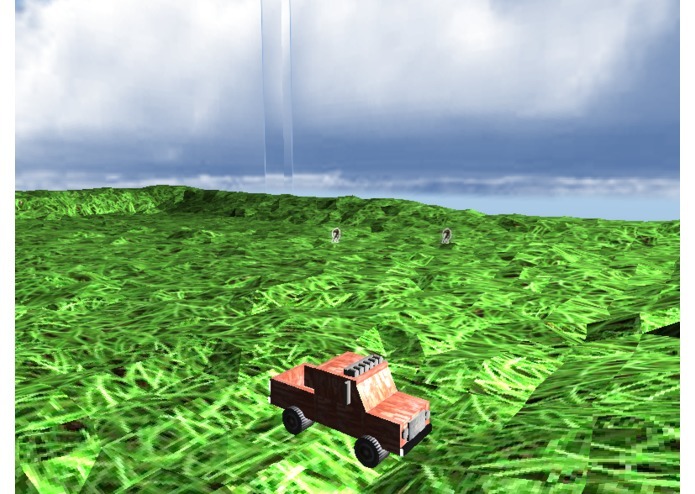 The user can control the direction of the truck and aims to kill zombies and bounce. We used Eclipse IDE with Java alongside OpenGL. We built our own custom game engine including the physics and lighting engines. We used Blender, Cinema4D, and Photoshop to create the models and related textures. We ran into issues with rotating the wheels of the truck. We has issues with modeling the OBJ files correctly to fit the format required by the game engine. We had issues with the physics engine correctly determining positions of the models relative to each other. We had difficulties with detecting hit boxes and collision in relation to the models and environment. Building the whole game our self excluding Java and OpenGL. We built the whole game engine ourselves and it includes custom model loading and texture loading. Our engine includes our own rendering ending as well as physics and lighting engine. We better utilized 3D math and matrices for use in the physics engine. How difficult it truly is to create a fully-fledged game is 36 hours. We learned what it takes to create one's own game engine including all the mechanics and inner-workings of the engine/library. We learned how to better create 3D models and their related textures with UV mapping. 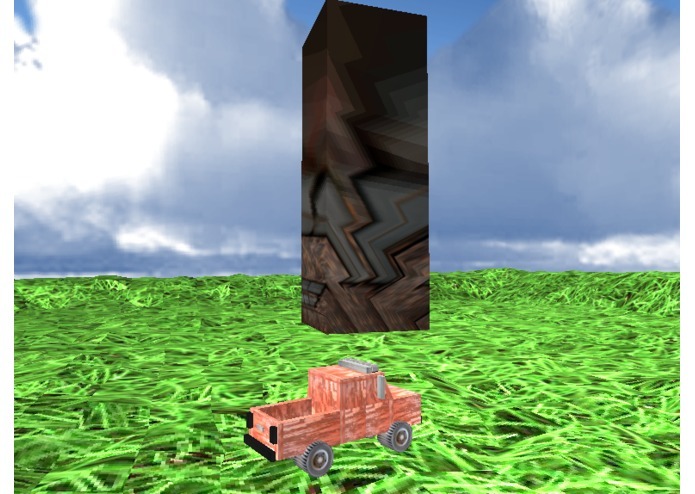 A fully-fledged game engine with a complete physics engine. We would like to implement a multiplayer networking system. We would like to improve out lighting engine (deferred lighting). We would like to add a particle system. We would like to make our game engine possible to run on many different platforms using OpenGLES (mobile, web, pc). Helped with creating models and coming up with the idea. I helped code the physics engine and designing/creating some of the models and textures. I worked with the graphical back-end of the the game engine with the shaders and model loading, etc. I also managed the core of the game engine. I helped model the objects in the game. And the idea behind the game.